Phoenix G&H did the Walking Dead: All out war kickstarter from Mantic Games, and we’re getting in 10 copies in the middle of October, about one month before any other store…I was just wondering how many people would be interested in reserving a starter box ($70). 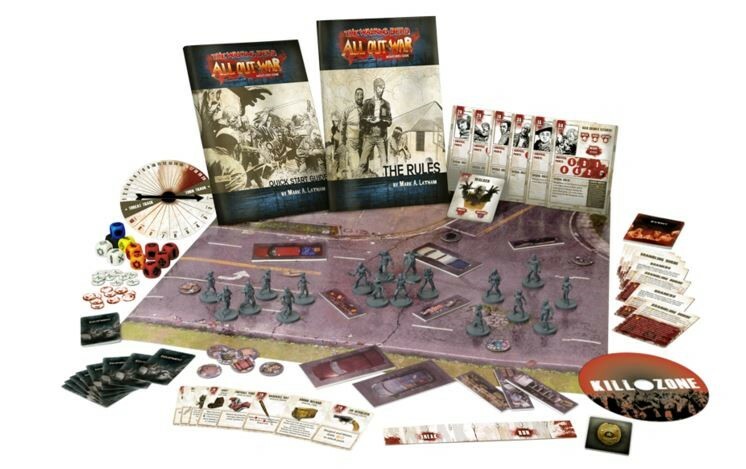 Jam packed with 18 highly detailed miniatures, rulebook, as well as all the items needed to play the game, it’s value is un-paralleled. Additionally, my rep from Mantic Joe Neet mentioned to me that since Phoenix G&H is a KS supporter our starter games will of course come with the exclusive models funded during the campaign. This entry was posted in Uncategorized and tagged mantic, walking dead. Bookmark the permalink.